Olivier Theyskens is a renowned designer who was born in Brussels, Belgium and found his place in Parisian fashion. A long and storied career leading creative direction at several French and American design houses gave Theyskens the reputation and experience to launch an eponymous line that embodies his dark, androgynous aesthetic. 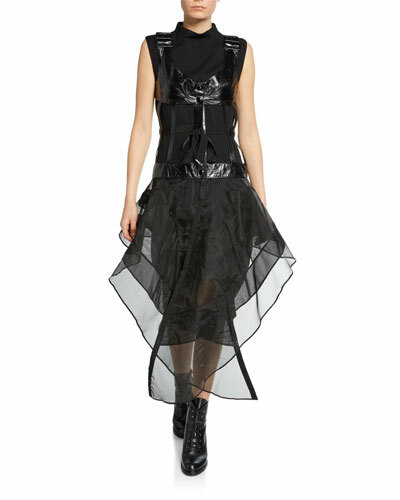 Womenswear by Olivier Theyskens is bold and dramatic, emanating a goth vibe that feels completely new. Victorian inspiration is tamed by minimalist silhouettes, making for a collection that’s wearable but undeniably high-fashion. 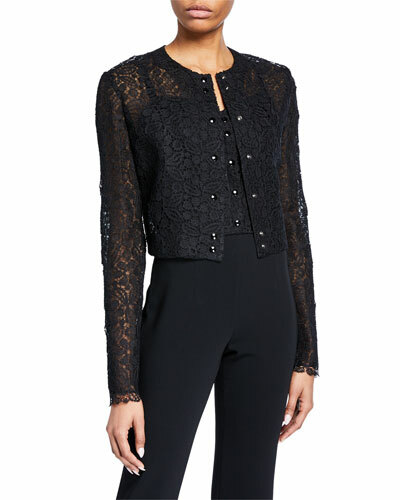 Dresses, jackets, pants, and tops by the French-Belgian designer are timeless and exquisitely crafted. 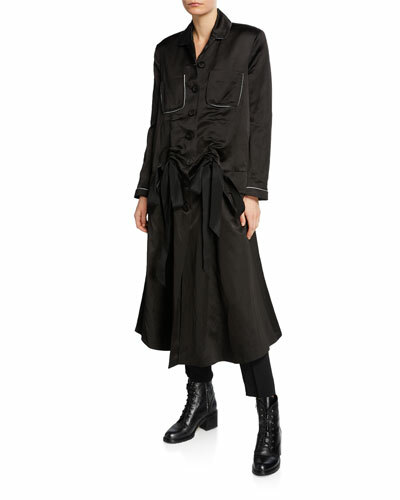 Shop a selection of women’s ready-to-wear apparel by Olivier Theyskens at Bergdorf Goodman. A.L.C. "Hadley" dress in stretch crepe. Crew neckline. Long sleeves. Banded waist. Body-conscious silhouette. Slit skirt overlay. Mid-thigh length. Slipover style. Viscose polyester. Imported. Cushnie Et Ochs cocktail dress with embellished organza combo. Fragmented-curve detail. Jewel neckline. Long sleeves. Body-con fit. Hidden back zip. Mini length. Viscose/spandex. Combo, nylon/metallic. Lining, silk/spandex. Made in USA of Italian materials. Iro "Opsey" silk dress with contrast embroidery & ruffled trim. V'd surplice neckline. Long, bell sleeves. Empire waist. A-line silhouette. Cutout at back. Slipover style. High-low hem. Viscose. Imported.